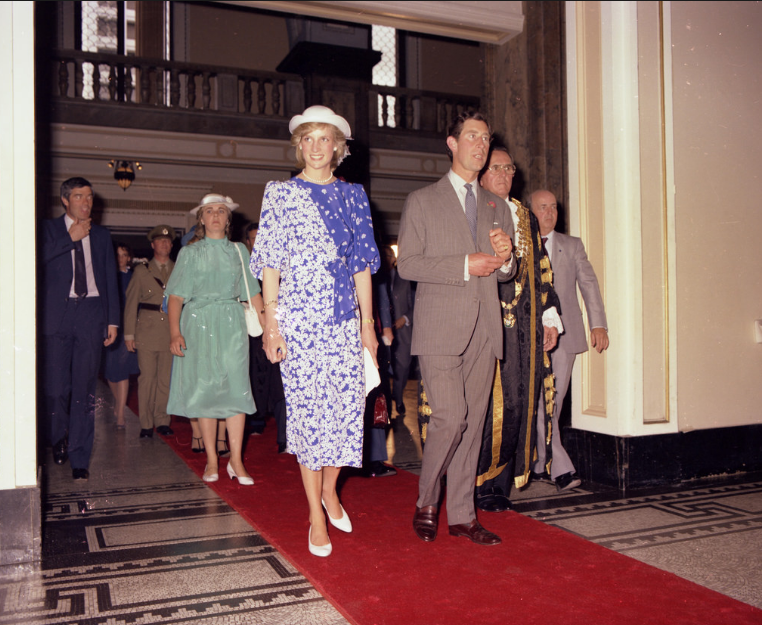 In memory of Princess Diana Friday flashback returns to April 11, 1983 when Princess Diana and Prince Charles visited Brisbane. Sadly this year (August 31 to be exact) marks 20 years since the Princess died from injuries sustained in a car accident in Paris. Today Lady Brisbane remembers Princess Diana's beauty and grace, her charity work and popularity with people worldwide and in particular the people of Brisbane during her visit to our city on 11 April 1983. During her brief visit the Princess wore a Donald Campbell blue and white silk reverse pattern dress and a white hat for her daytime engagement. During the evening the Princess and Prince attended a State Reception at the Crest Hotel, now known as The Mercure Brisbane King George Square. Where the Princess wore a very pretty pink silk gown designed by Victor Edelstein complimented by the stunning Spencer Family tiara, her sapphire necklace, earrings and bracelet were a wedding gift from the Saudi Crown Prince. When the Princess visited our city I recall my school permitting us to wait on the footpath and watch the royal cars drive past and I can remember the Princess waving and smiling to the crowds. Leave a comment below and let me know if you have any memories of when the Princess visited Brisbane, I'd love to hear from you.